• Welcome to your weekend and welcome to your Saturday edition of The Purge. 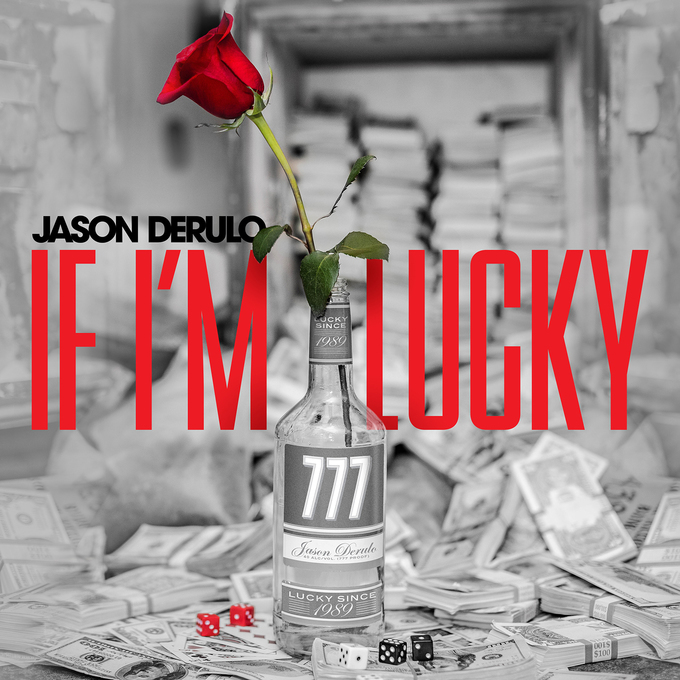 Jason Derulo is back with a brand new single. Following on from the success of his double platinum single ‘Swalla’, he’s back again with a new tune called ‘If I’m Lucky’. It’s one of a slew of new singles that have made their way to Australian media over the last couple of days, including other new songs from the likes of Guy Sebastian, Ricki-Lee, James Blunt, Paloma Faith and OneRepublic. • Speaking of new tracks, looks like we’ll be getting one from UK soul/pop star Sam Smith next week. No details are known about the new track at this stage, but all signs are pointing to a September 08 release for the lead single from his eagerly awaited sophomore album, the follow-up to 2014’s ‘In The Lonely Hour’. • Sony Australia have confirmed the local release of the new Boyz II Men album ‘Under The Streetlight’. The LP is essentially a covers set (think the kind of album Human Nature’s been making of late), but there is one little Boyz II Men original (‘Ladies Man’) tucked in amongst its 10 tracks for good measure. There are also guest appearances from Amber Riley, Brian McKnight and Take 6. ‘Under The Streetlight’ is out on October 20. • Aussie DJ Tommy Trash is back with a new single too. His latest is called ‘Sinners‘ and, as he explains, it’s “about taking control of a word that someone uses against you in a hurtful way; to take ownership of it and make it powerless to them.” According to his label, the song represents a slightly different direction for Tommy, who’s teamed up with songstress Daisy Guttridge. 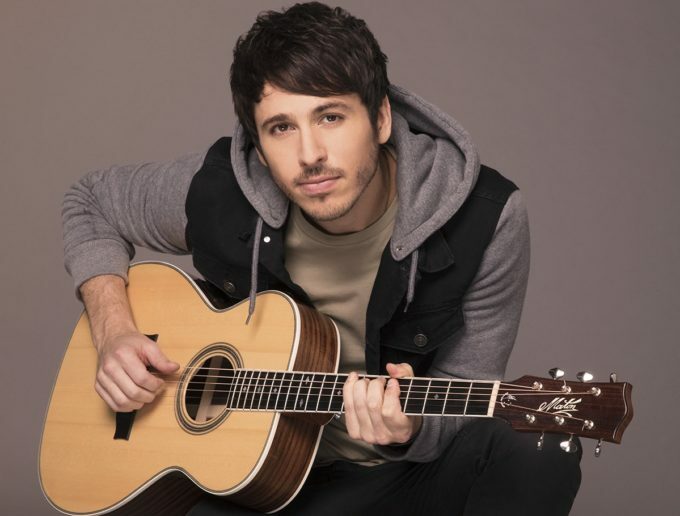 • So hot right now performer Morgan Evans will be back in Australia later this month for a promotional visit in support of his new single ‘Kiss Somebody’. The track is currently sitting inside the top 30 on the Aussie iTunes singles chart and spent part of this week in the top ten on Shazam. Morgan was recently confirmed to play the support role at James Blunt’s indoor shows in March next year. • German techno outfit Scooter have dropped a best-of album to celebrate two and a half decades in the business. The group first rose to prominence in the early 1990s via their bangers like ‘Hyper Hyper’, ‘Back In The UK’ and their cover of Billy Idol’s ‘Rebel Yell’. ‘Scooter Forever’ is out now. • Evanescence will release their fourth album ‘Synthesis’ later this year. The band confirmed the LP’s release by dropping a new rework of their classic hit ‘Bring Me To Life’, though there’s no confirmation yet on a specific release date. 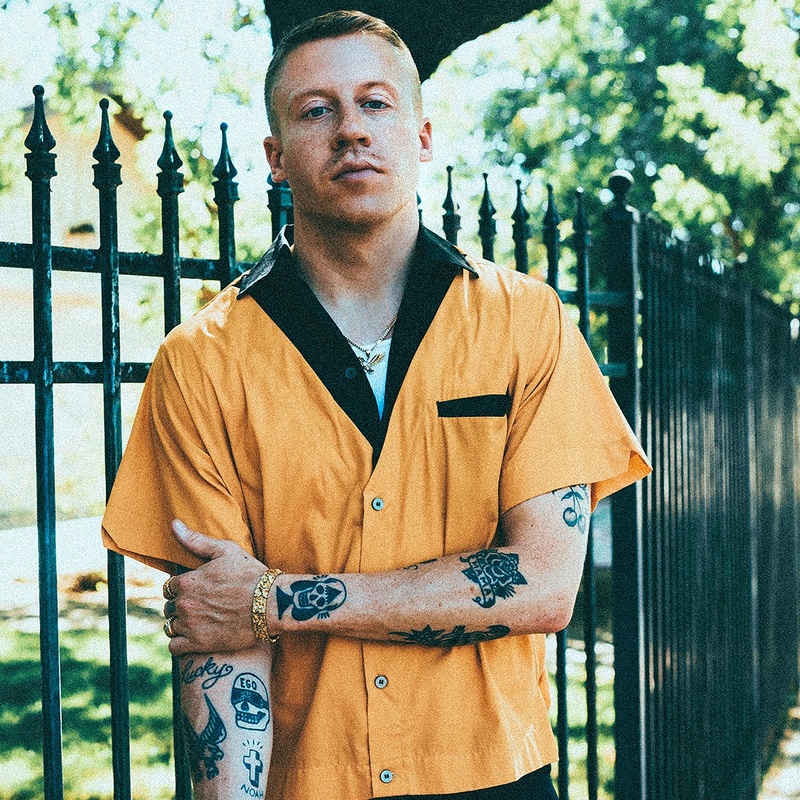 • Big news for the NRL Grand Final yesterday with confirmation that US superstar Macklemore will headline this year’s pre-game show. He’ll be performing his latest track ‘Glorious’ along with previous classics at the 2017 Grand Final, which will be held at ANZ Stadium in Sydney on October 01. It will be Macklemore’s only performance as part of a whirlwind promotional visit following on from the release of his new album ‘Gemini’, out September 22. • Noname’s upcoming Australian tour just got a little larger, with the addition of a second Melbourne show to cope with demand. The rapper’s first gig at the city’s 170 Russell sold out within a day, so there’s now another one – on December 11. Tickets are on sale now. • Alex The Astronaut will celebrate the upcoming release of her ‘See You Soon’ EP by heading out on the ‘See You Soon’ EP tour. Kicking off at Black Bear Lodge in Brisbane on October 19, the tour will swing by The Treehouse in Byron Bay (Oct 21), Landsdowne Hotel in Sydney (Oct 26), Uni Bar in Wollongong (Oct 27), Howler in Melbourne (Oct 28) and Jack Rabbit Slims in Perth (November 03). Tickets are on sale now. • In festival news, the Grampians Music Festival will return to Halls Gap in Western Victoria early in the new year; organisers promising another stellar line-up of talent for the February 02-04 event. Earlybird tickets are on sale from Monday, before general release tickets go on sale from October 02. Incidentally that’s the same date the full line-up is set to be revealed. • Speaking of festivals, speaking of Victoria and speaking of 2018… The Hills Are Alive will be back in the hills of South Gippsland on March 23, 24 and 25. Given 2018 marks the festival’s 10th birthday, organisers are promising “its most memorable year yet”. More details will be unveiled soon. • Pink Floyd legend Roger Waters will bring his ‘Us + Them’ concert experience to Australia in February. A gig at Qudos Bank Arena in Sydney kicks off proceedings on February 02, but dates in Brisbane (Feb 06 at the Entertainment Centre), Melbourne (Feb 10 and 11 at Rod Laver Arena), Adelaide (Feb 16 at the Entertainment Centre) and Perth (Feb 20 at Perth Arena) follow. A Telstra Thanks pre-sale kicks off on Monday at 9am before general public tickets go live from 10am on Friday, September 08. • Boom! Taylor Swift sure knows how to make an impact and she’s done just that with her new single ‘Look What You Made Me Do’, debuting at No.1 on the UK singles chart, knocking Dua Lipa into the No.2 position in the process. Believe it or not, it’s Taylor’s first ever UK No.1 single (‘Love Story’, ‘I Knew You Were Trouble’ and ‘Shake It Off’ her previous bests, all peaking at No.2). Pink’s up from No.4 to No.3 and Demi Lovato is surging towards the UK top ten with her new single ‘Sorry Not Sorry’ (No.14 to No.12). • On the UK albums chart, meantime, Ed Sheeran has slipped, allowing Queens Of The Stone Age to premiere in top spot with their latest long player ‘Villains’. That’s not to say Ed’s gone too far, mind you; he’s in the No.2 spot ahead of a trio of new entries. They are War On Drugs’ ‘A Deeper Understanding’ (No.3), Pvris’ ‘All We Know Of Heaven, All We Need Of Hell’ and former Westlife star Shane Filan’s ‘Love Always’. Fifth Harmony also conquer the UK top ten with their self-titled album, their first since the departure of Camila Cabello. New albums from XXXtentation, Lil Uzi Vert and Cadillac Three debut in the top 20 at Nos.12, 14 and 16 respectively. • Shut the front door! Luis Fonsi, Daddy Yankee and Justin Bieber’s ‘Despacito’ still at No.1 on the Billboard Hot 100 singles chart Stateside, you say? We’d never have guessed. In fact, by being at No.1 again this week – for a landmark 16th week – they tie a long-running chart record of the longest ever stay in the No.1 position, equal with Mariah Carey and Boyz II Men’s ‘One Sweet Day’. If they’re there again next week in the face of the T-Swift challenge, they’ll have broken a 59 year chart record. DJ Khaled is still at two and Cardi B at three, with Imagine Dragons’ ‘Believer’ and Charlie Puth’s ‘Attention’ improving to four and five respectively. Yo Gotti’s ‘Rake It Up’ is up into the top ten (No.24 to No.10) while ‘Friends’ from Justin Bieber + BloodPop makes a splash, debuting at No.20. Taylor Swift’s ‘Look What You Made Me Do’ enters the countdown at No.77, but we’re expecting a mammoth jump next week. • Over on the Billboard 200 album chart and we’ve got a Brand New album debuting at No.1 debut. Quite literally. Brand New’s brand new LP ‘Science Fiction’ premieres in top spot ahead of albums for Kodak Black (‘Project Baby Two’ new at No.2), Kendrick Lamar (‘Damn’ at No.3), Neck Deep (‘The Peace And The Panic’ new at No.4) and Kesha (‘Rainbow’ down from No.1 to No.5). Dave East’s ‘Paranoia : A True Story’ is the only other top ten debut this week, lobbing at No.9. A$AP Ferg just misses; ‘Still Striving’ premiering in the No.12 position. 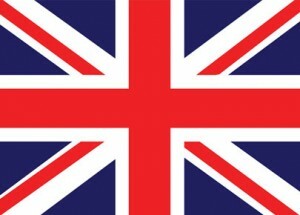 • So that’s the UK and the US taken care of. Guess you’ll be wanting to know what’s happening here at home now, right? Right. And we’ll be back to tell you all about it from 6pm AEST with our weekly ARIA Chart Watch. Everything you need to know about this week’s ARIA top 100s will be right here later.